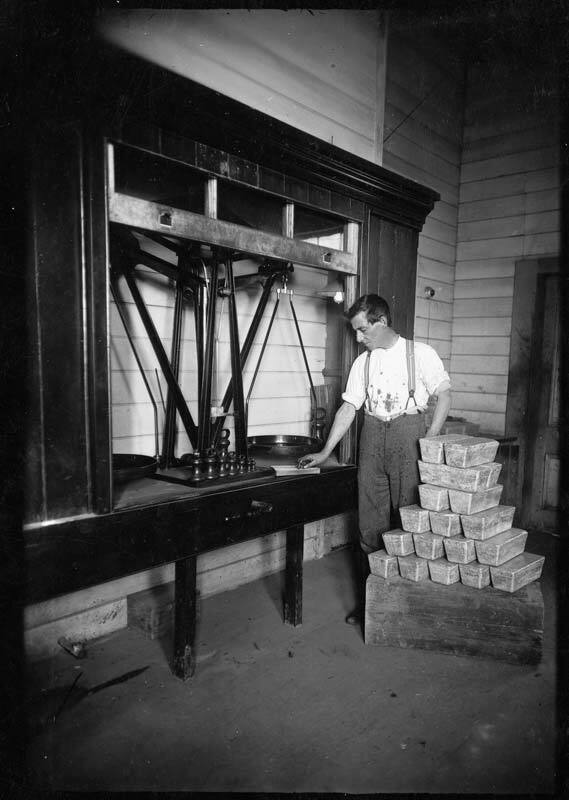 Ingots of pure silver are being weighed at Martha mine, Waihī, on Coromandel Peninsula. The date of the photograph is unknown. All silver produced in New Zealand has come from this part of the North Island, where gold and silver occur together in hard rock.